I agree to ProsConnected.com's Terms of Service. Breakfast Buffet available so come hungry! First Time Guests eat free! Thanks for visiting my meetup group for information for BNI Potomac Business Alliance where I am honored to hold the Title Insurance seat. 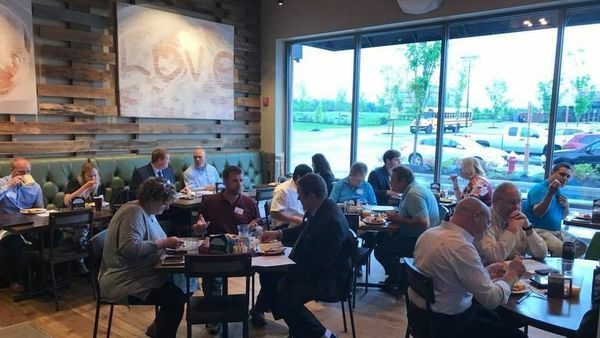 During this meeting you will meet other local business professionals from a wide variety of industries who commit to providing excellent service to people within our shared networks. We will pass over 1.5 million dollars of business in 2018- and we want you to consider applying to be a part of our referral network. So come out, enjoy an excellent breakfast buffet, learn a little more about me and Title Insurance, and consider being a part of a fantastic group of business professionals. Be prepared to tell everyone about your business in about 30 seconds or less. We want to know what you do but have to keep it short so we can complete the meeting's agenda, we want to honor your time! • 30 second elevator speech? What do I say?! Keep it short and sweet, there will be plenty of time after and before the meeting to get to know other people in the group and even opportunities to schedule "one to one/1:2:1" meetings. We love to grab our coffee and go out to a spot in the lobby afterwards in one on ones to discuss how we can work together, get to know each other, get business done! So plan a little extra time to meet if need be. Want to start on Internet Marketing but don't know how? We can help! Want to enhance your online marketing? We can help! Is SEO enough when it comes to Internet Marketing?